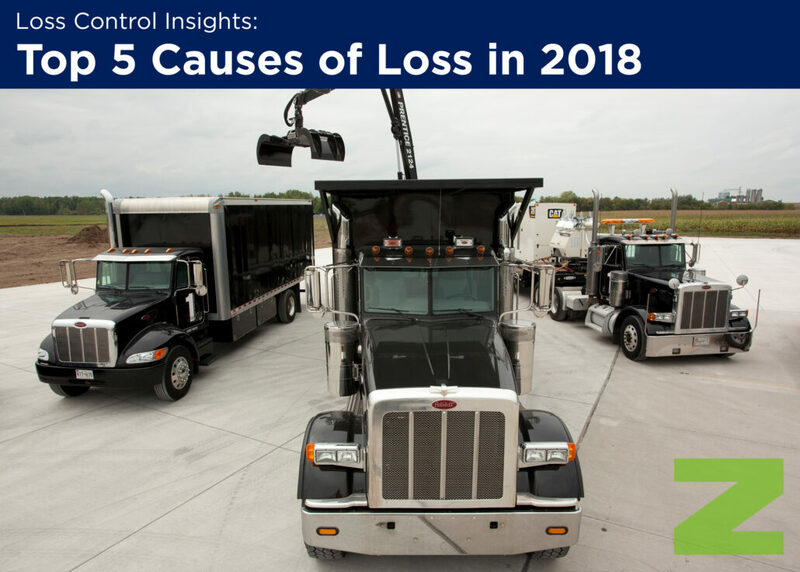 While reviewing EMC loss data for 2018, EMC Risk Improvement Senior Engineer Paul Porter points out that there are various ways to examine the information. “You can look at total dollars lost and find a few big fires, tornadoes or hurricanes that really push up property losses. Or you can look at the number of claims,” he says. He adds that it’s generally more useful to review the total number of claims in each category to identify trends as a way to reduce employee injuries, illnesses and property damage. This is because the number of incidents your company experienced in the past is a better predictor of future losses than the dollar losses you experienced. In using that method of reporting, EMC claims data shows these five categories with the most claims in 2018, with losses tallied through early October 2018. Your company’s data may mirror these top categories, or you may have had somewhat different claim experiences. Paul says that the only way to decrease these—and other losses—is to review your records and take sensible steps toward prevention. He recommends reviewing your company’s records at least annually to uncover the areas where you experienced the most claims, literally making your own top 5 list. “This can be eye-opening. Once you see what happened in the past year, you can look for ways to prevent similar accidents from occurring in the upcoming year,” he says. Getting back to basics in each area of concern begins with analyzing what is going wrong and working to control the problem in the next year. Paul suggests using the hierarchy of hazard control to find the best solutions for safety problems in your workplace. Elimination, substitution, and engineering controls are the best options for dealing with hazards, followed by administrative and personal protective controls. In other words, eliminate the hazard if you can, but move down the list if there is no way to get rid of the hazard entirely. You can also use a combination of controls. For example, providing a scissor lift (engineering control) requires operation training for the employee (administrative control). ZORN can help protect you against such losses. For more information on how we can work together, contact us today.